Outlook Attachment Extractor to Extract Email attachments from Outlook PST files. 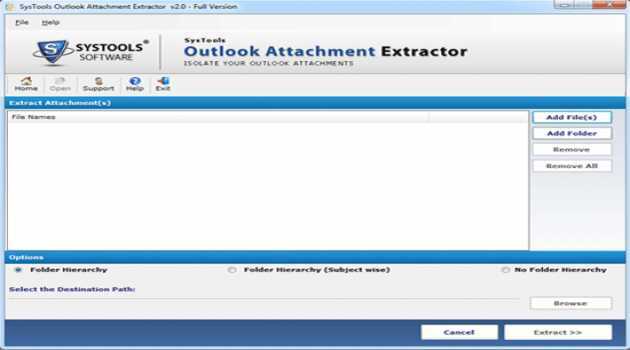 Outlook Attachment Extractor extracts email attachments from multiple Outlook PST files. Extract Outlook PST attachments maintaining Outlook folder hierarchy.